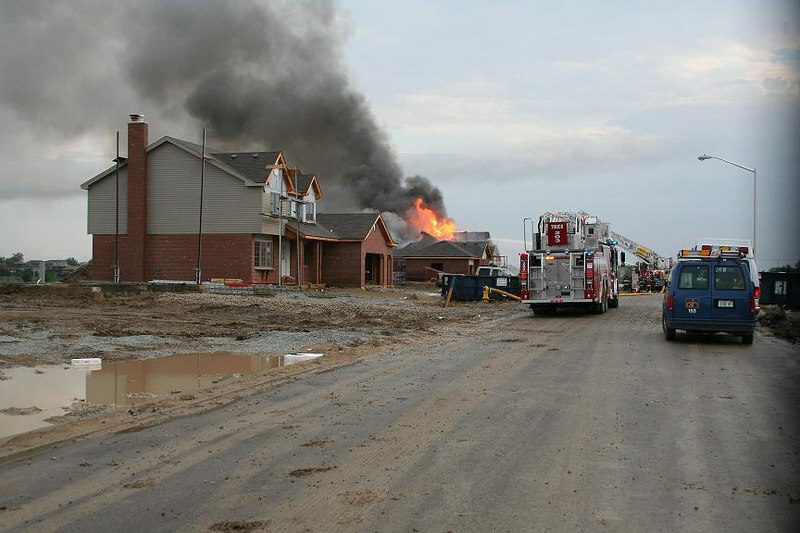 A lightning strike sparked an early morning fire in an under construction house in Tinely Park Illinois on July 14th 2006. Firefighters were challanged by the muddy conditions surrounding the house and an early collapse of the roof. No injuries were reported.